I just burned a new BD-R disc using file system UDF 2.50. I set the volume label at about 40 characters. The only software that seems to recognize all 40 characters is ImgBurn itself. Windows 10 File Explorer and diskmgmt.msc only recognizes the first 32 characters. The 3rd party file explorer "Explorer++" also only recognizes the first 32 characters of my label. While it's nice to be able to use 64 characters in a volume label, it's not idea if only 1 software program can read all 64 characters. Can somebody please explain what's going on here? So, why does ImgBurn allow me to use 64 characters for a volume label? Windows caps the maximum number of displayable characters, for a reason I'll be damned if I can figure out. So, probably, most other software is just returning what Windows does. Or the other software sets its own crippling limits for reasons only the author knows. As for your original question, I created a new job in ImgBurn using UDF 2.60 and the maximum UDF label field length is 126 characters. I created a new job in ImgBurn with 2.50 and it too is 126 characters. 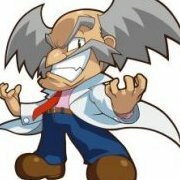 As for why ImgBurn is capping you at 64 characters, I don't know. The ISO label is 32 maximum, it seems. Joliet is even less, half that. 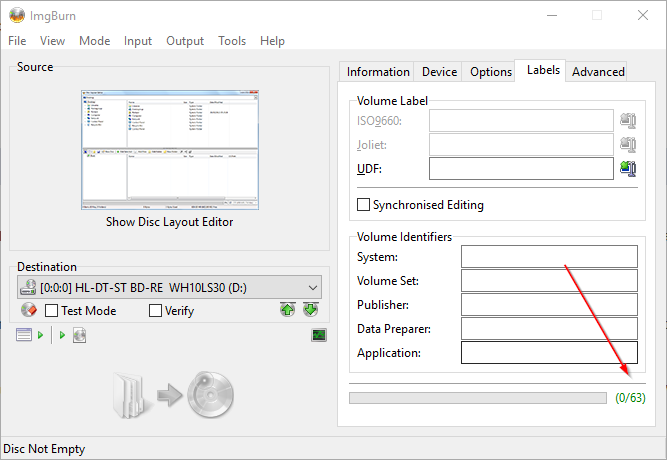 VolumeIdentifier may be something different, though, than what Windows returns as the disc label. Windows should normally read the UDF or ISO labels. On the other hand, "Volume Set" allows 128 characters. But that's distinct from "Volume Label". **EDIT**: I figured it out. If you disable Unicode support under the "Advanced" tab then you can get 128 characters for the "Volume Label". Unicode takes 2 bytes per character. Problem solved! Ah, yes, I had Unicode support disabled, too.